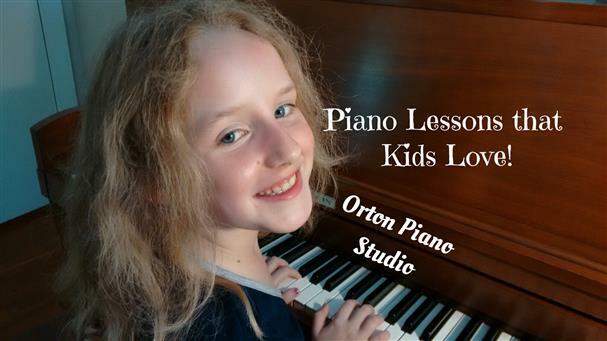 Orton Piano Studio offers breakthrough piano lessons which are different from traditional lessons. The results are different, and the method is different. To see what it's like, come to an introductory session. Introduction is free with no obligation. 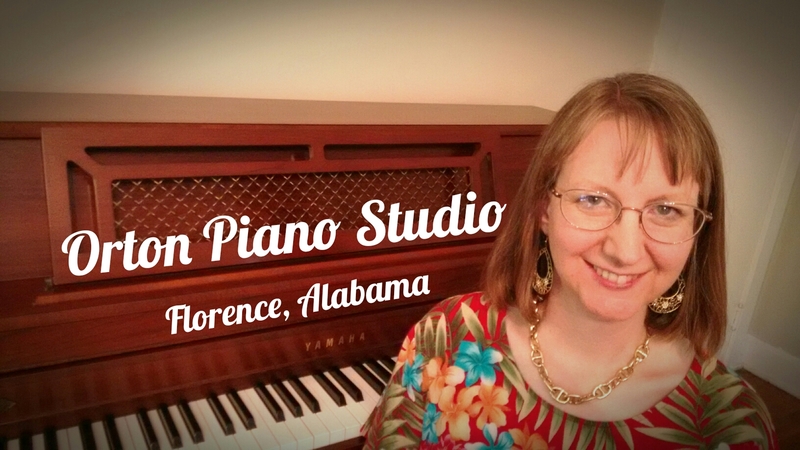 Piano teacher, Joy Orton, offers a breakthrough in music education, and has students playing great-sounding contemporary, classical, gospel, blues, and accompaniment pieces--immediately--from their very first lessons. Teacher Joy uses the Simply Music method that is quite different from learning to play drills and scales-finally! Instead new Orton Piano students sit down from their very first lessons and are taught to play great sounding pieces from many genres - with both hands! Although the pieces don't sound simple, the method is as natural as learning to speak your first language. Average results produce 6 to 8 mature-sounding pieces after the first 10 lessons. If you've ever taken piano lessons, you might appreciate why musical educators acknowledge these results are a remarkable breakthrough. To learn more about these amazing lessons, we offer a free introductory session. Click the button below to sign up. It's an honor and a blessing to be able to teach in the Shoals, an area so rich in its musical tradition. The movie Muscle Shoals brought a new awareness to the our musical heritage. We owe a great sense of gratitude to all the music teachers in Colbert and Lauderdale counties. These teachers were/are found in schools, churches, homes, and studios. From the father of the blues, W.C. Handy,the queen of Soul, Aretha Franklin, to the producer of the King of Rock and Roll, Sam Phillips, this northwest corner of Alabama has been blessed. The Simply Music Method has allowed our oldest daughter, Gabriella Orton, to have the opportunity to play before Rick Hall at Fame Studios and to play before the governor, Robert Bentley, at the state capital. 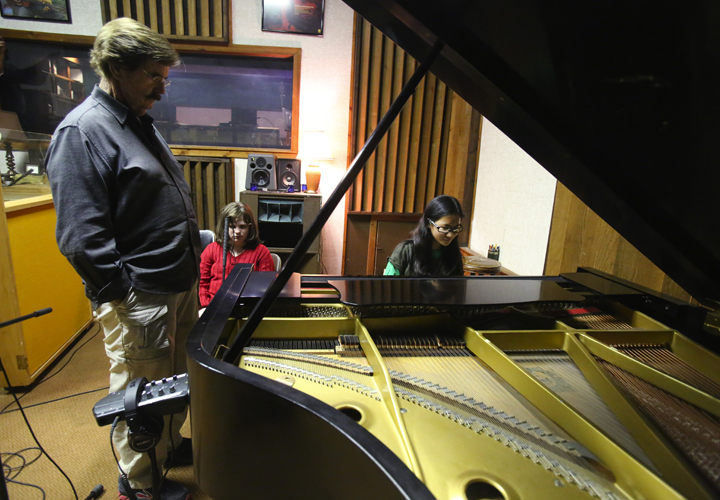 Rick Hall listens as Gabreilla Orton plays at Fame Studios in Muscle Shoals. We have seen a new generation of great musicians arise to bring joy to our churches, living rooms, coffee shops, with some even reaching great audiences with a national following. With other local teachers, Orton Piano Studio seeks to keep the love of music alive through the keyboard. We believe that EVERYONE is profoundly musical: Yes, even that adult who never thought it was possible but always wanted to learn. Does your bucket list have PLAY PIANO on it? If it doesn't, add it now and give me a call at 256-483-5727! If Hollis can learn to play, YOU can too! 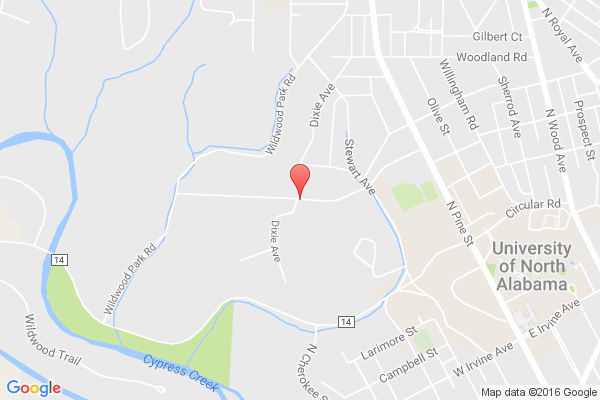 Orton Piano Studio is located in beautiful North Florence one block west of the University of North Alabama's baseball field. Our studio is found on the hardwood floors in the living room of the original 1948 homestead of Mr. H. M. "Bill" Bobo who started one of Florence's first real estate companies. Just as Mr. Bobo planted saplings that grew into large trees that provide shade outside our studio that we enjoy today, we plant the seeds that will allow our students to be enjoying playing the piano for their friends and family 30 years from now.